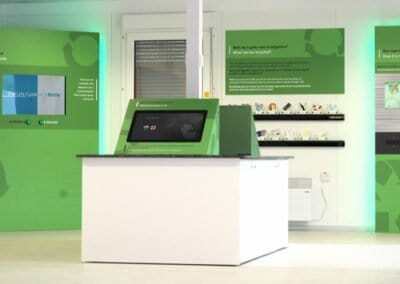 Each enclosure is actually a free standing unit with power cable running through the stand – they were installed through the display surface giving the impression of a deskmounted unit but with additional stability. 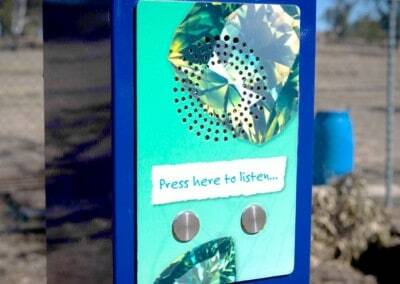 Password protected the only way to exit the software is via the home button which the enclosure locks access to. 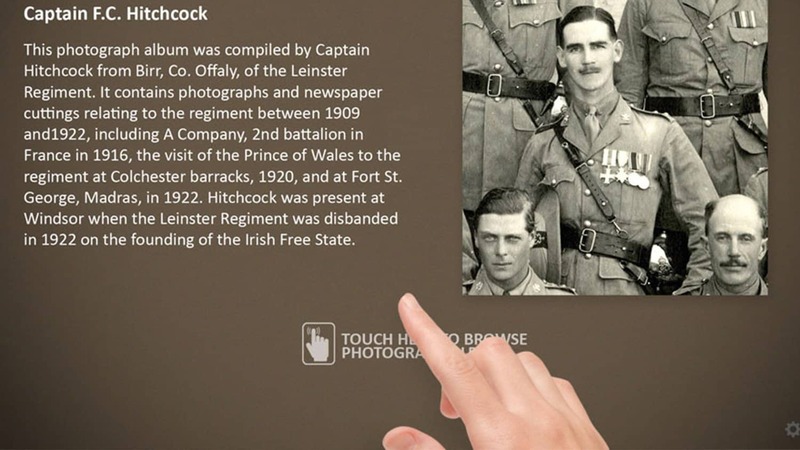 A new exhibition at the National Museum of Ireland called ‘Recovered Voices’ explores what happened to the nearly 70,000 Irishmen who served in the British Army during the opening years of World War One. 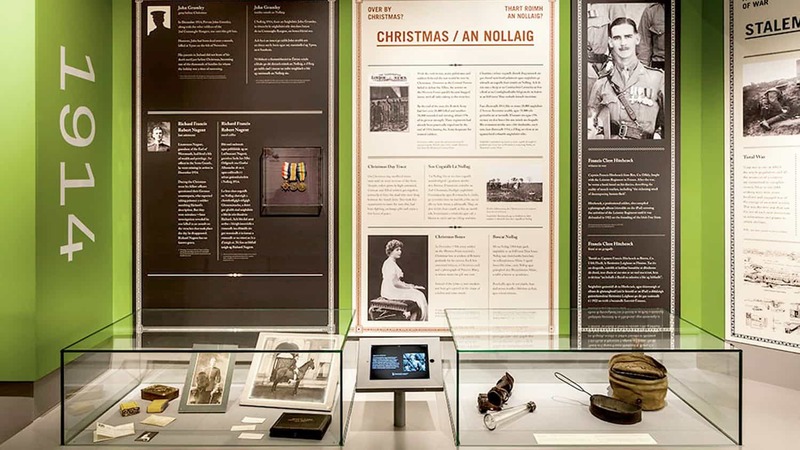 From the lush green fields of France in the summer of 1914, through that first Christmas in the trenches, to the sun dried beaches of Turkey in 1915, this exciting new exhibition unveils the complexity of Ireland’s part in the First World War. 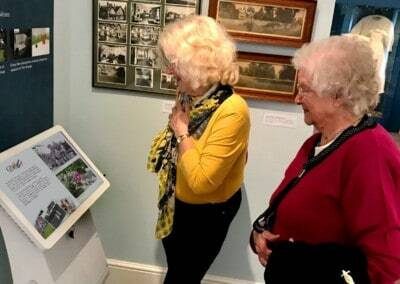 The exhibition uses original objects and interactive material to illustrate the human impact of the war – this includes the display of various photographic albums which due to their age and historical significance cannot be touched by visitors. 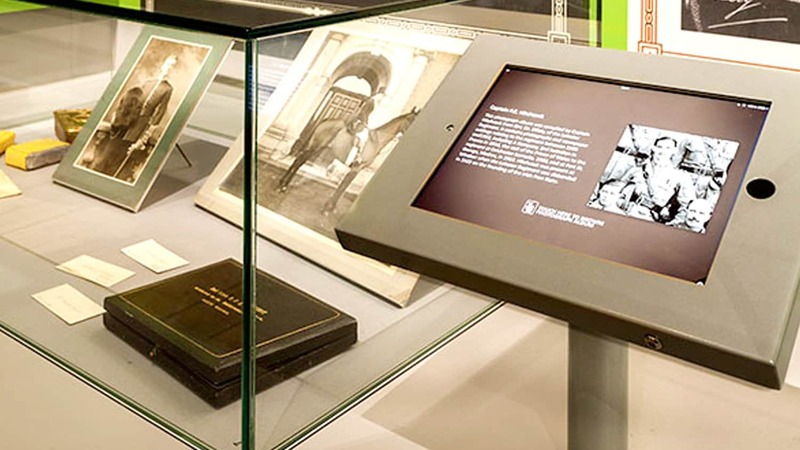 We were therefore responsible for developing a tablet based system to display alongside the original albums which digitally recreates the galleries and allows their exploration. 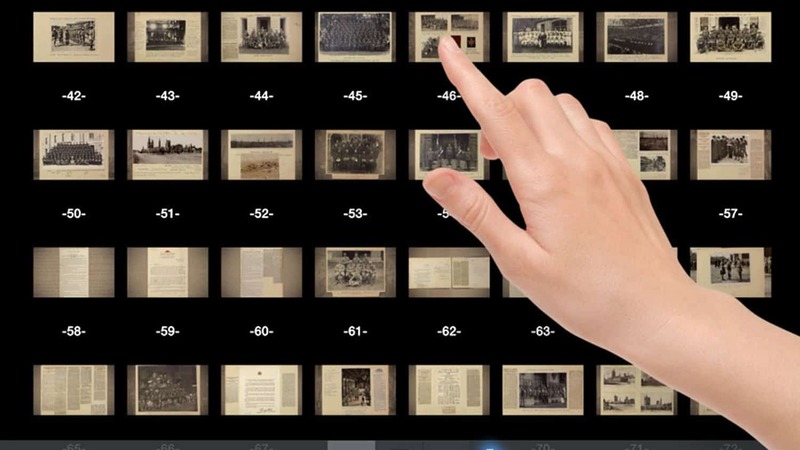 The iPad gallery software displays over 500 images via an intuitive touchscreen interface across 4 albums with each iPad presenting a single album. 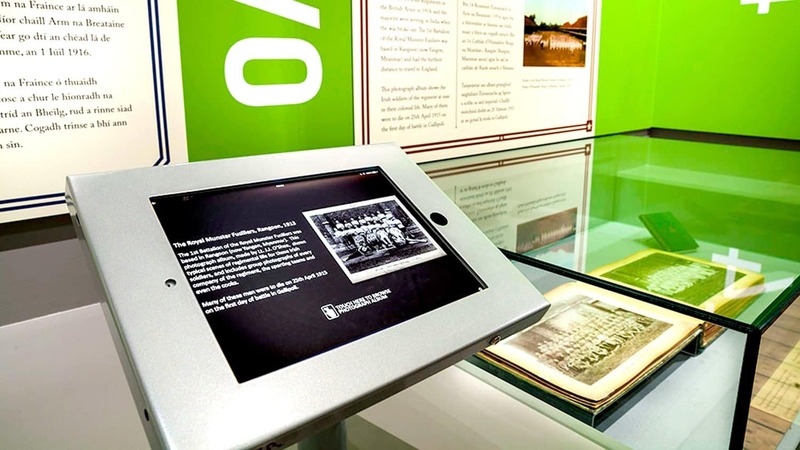 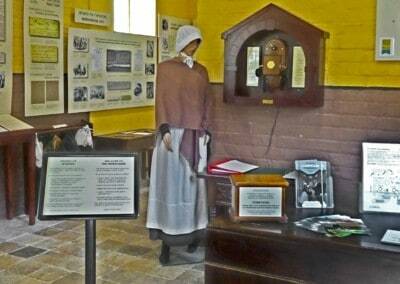 The iPad’s have an attractor screen which provides information relating to the album contained and a call to action for visitors to begin viewing. 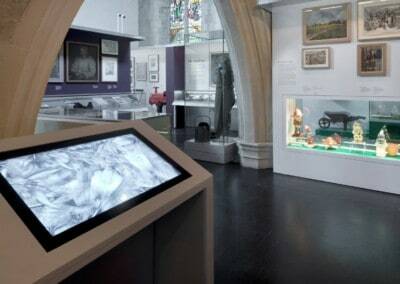 The software has a password protected backend which allows each album to be updated if required whilst visitors are unable to escape the gallery software due to the design of the iPad enclosures. 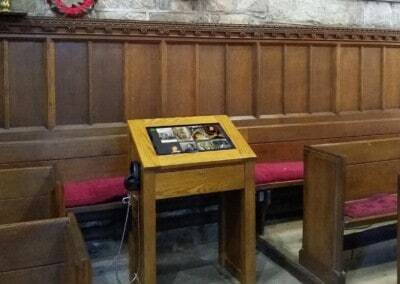 Each enclosure is actually a free standing unit with power cable running through the stand – they were installed through the display surface giving the impression of a deskmounted unit but with additional stability. Password protected the only way to exit the software is via the home button which the enclosure locks access to. 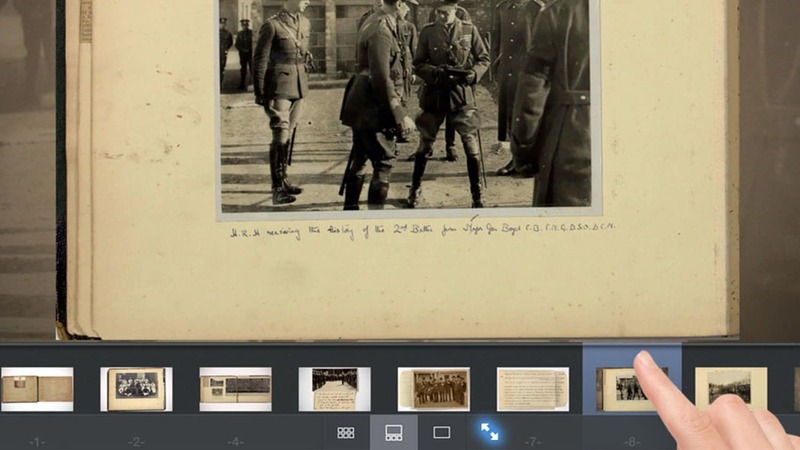 The iPad heritage interactives have been a huge success with visitors, allowing digital access to otherwise inaccessible photo albums – providing various unique perspectives into the First World War.